This was a hearing under an ad-hoc panel on the “Luxleaks” revelations of massive corporate tax cheating operations run out of Luxembourg, with the help of cosy “tax rulings” from the Luxembourg authorities. Juncker was Prime Minister of Luxembourg at the time all these schemes were created. 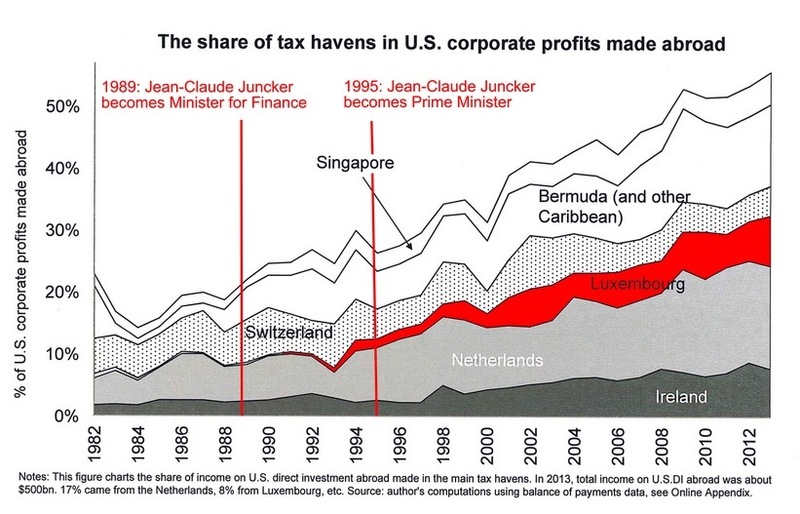 Everybody in the know knows that Juncker was the main architect of and cheerleader for the Luxembourg tax haven, as this graph so clearly suggests. 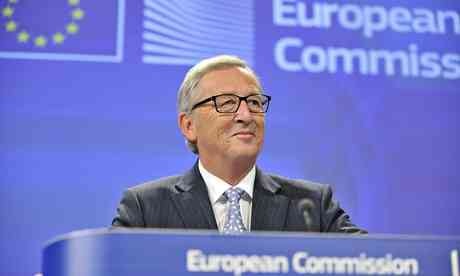 Perhaps Mr. Juncker would like to point to a time during his tenure when he criticised the corporate tax abuses run out of Luxembourg.